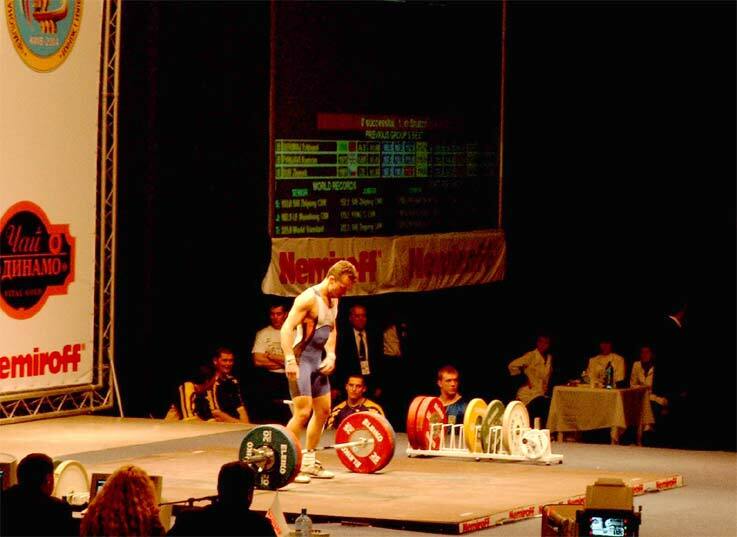 European Championships Weightlifting 2004 Kiev. From 20th till 25th of April the European Weightlifting Championships took place in Kiev, the head capital of Ukraine. Many athletes still wanted to qualify for the Olympics and all participants records from this Olympic cycle were broken with 177 participants in the man's field (from 32 countries) and 110 women (from 23 countries). In the field of the men the participants numbers have not been surpassing 150 since 1998. Nonetheless the level of the results was a bit lower than in previous Olympic cycle just as with the World championships results. The stricter and more frequent doping controls probably play a role in this. Nonetheless these championships offered thrilling fights with a very close participants field. 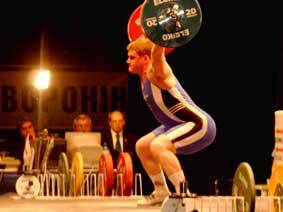 For example in the 85 kg and 105 kg class the 13th place was only 20 kg less than the gold medal! 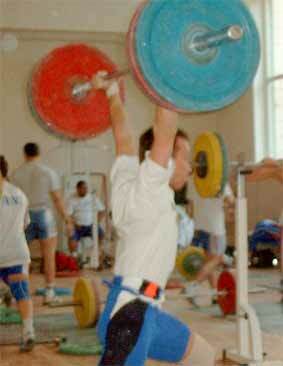 The female weightlifting however keeps developing strongly and many European records were broken. With the first place the Polish female team got 2 tickets for the Olympics and France and Spain each one place. 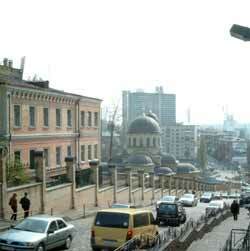 While the organization was of good level on sportive field, the administrative side was sometimes less. The accreditation took very long, the general information spare and no scale in the second hotel . 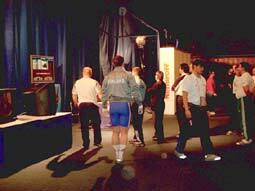 The first two days there was no screen around the weigh-in scale and the sauna hadn't arrived yet. 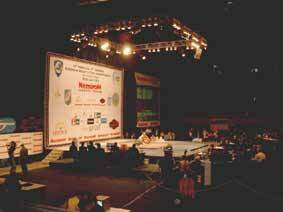 On the other hand the short walking distance between hotels, training hall and competition hall were very positive. Kiev is a big city with a huge contrast between the 'poor' and the 'rich' , with a lot of expensive cars driving around, a lot of very expensive clubs next to cheap cars and pubs. 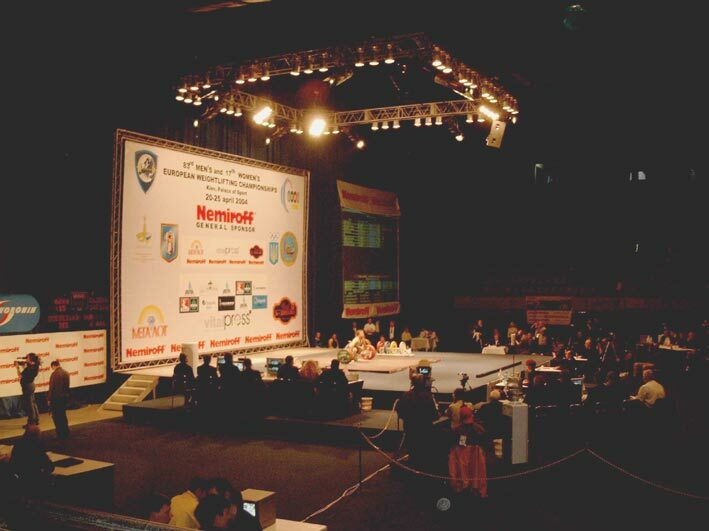 The competitions were organized in the sports hall “Palace of Sports”, a not very modern but well equipped big building. 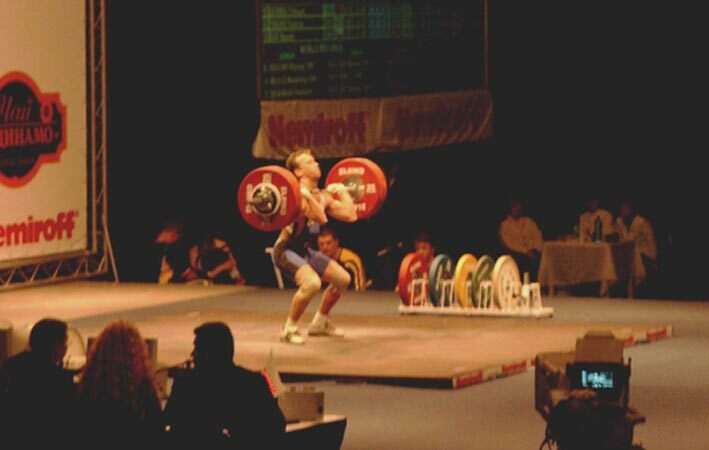 This was my 6th senior European championship and my 179th competition ever. 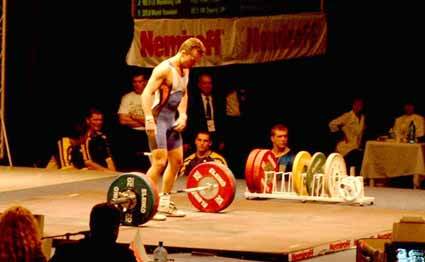 I started in the A-group for the second time in my life and those who watched Eurosport TV could follow my lifts. I was in a good shape and totaled twice 270 kg in March so I wanted to repeat this total. 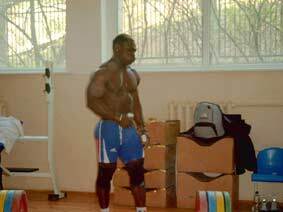 I started with a successful 117,5 kg and 122.5 kg. I didn't finish my pull in the third attempt and missed 125 kg. However 122.5 was only 2.5 kg below my best and the same as I did in the preparation so I was happy with that. 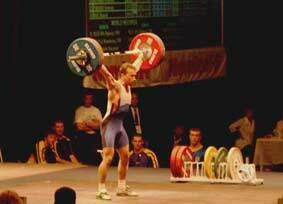 The jerk started well with a light 142.5 kg. I cleaned 147.5 kg in the same way and got a little too self confident, didn't concentrate enough and missed the jerk. 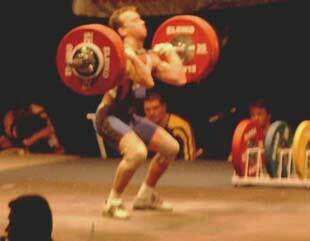 In the third attempt I cleaned it quite good but I felt really weak after the clean and missed the jerk. That was disappointing and I was angry to have made this beginners mistake on the second attempt. 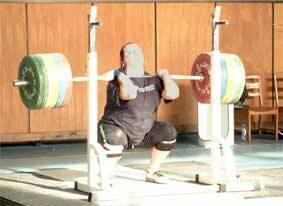 My total of 265 kg (61.1 kg, 381.251 sinclair) brought me 5th place. It equaled my best placing from 2002 and was very satisfying. I can be proud because this is the best placing from a Belgian athlete on European championships seniors since more than 20 years! This 5th place was also better than the sixth place the Belgian Olympic committee demanded for Olympic Games. However my 265 kg total is not enough to end in the top 15 on the world ranking list. 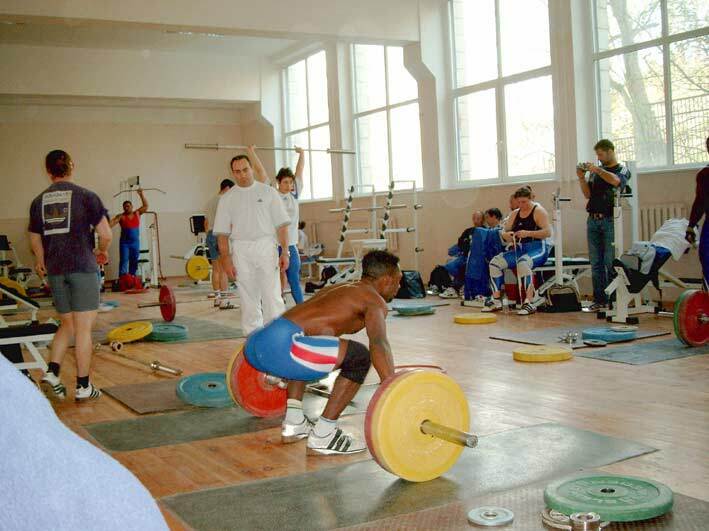 so I have to wait and see if the IWF will reallocate some unused quotas and assigns a place for me to the Olympic committee. My friend Keith, a weightlifting fan and amateur photographer took pictures of lifting. 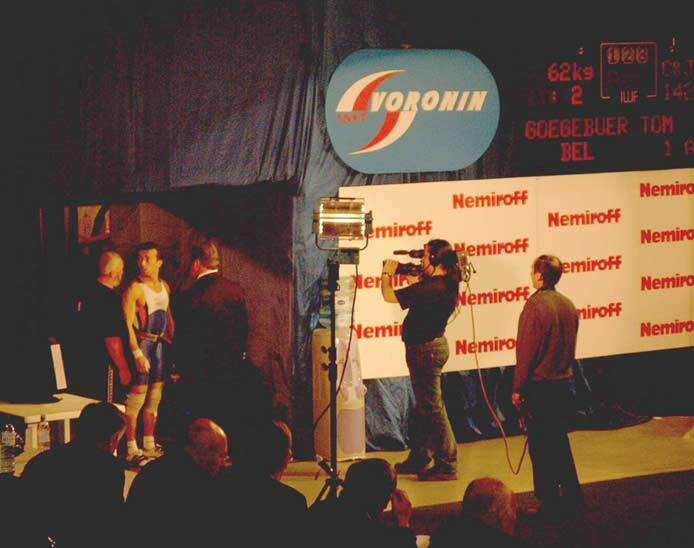 In the first picture I'm waiting with my coach (father) till the technical controller allows me to go on the stage. Meanwhile Eurosport is filming. From the third picture you can form an idea of the impression to stand on the platform in a huge sports hall (It's my second clean with 147.5 kg). There were two training halls , each with approximately 8 platforms. "Lonely" Belgian training with the French team. 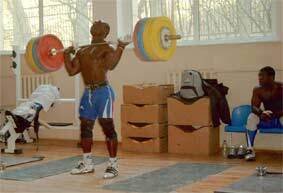 My French friend and adversary Samson Matam, -62kg, 277.5 kg total, 4th place. One of the strongest families in the world with 3 brothers lifting in these EC: David, Samson and Alphonse Matam On the previous picture Samson. Here you see David Hercule Matam, - 85 kg, 165 +195, 13th. (On the second picture Alphonse is watching). 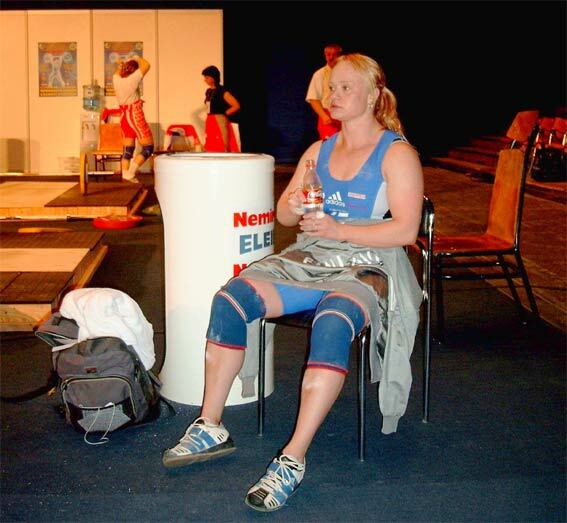 A few days before her competition she did front squats with 200 kg! Behind the 'scene', the Warm-up room. 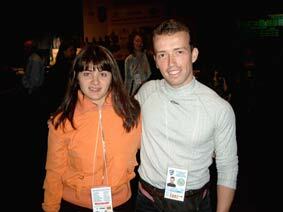 I was helping the Finnish coach..
Hanna Kerannen (-69, 92.5+115, 9th). Finnish Miika Huhhtala and coaches just behind the competition curtains. Notice the screen were the attempts are shown. 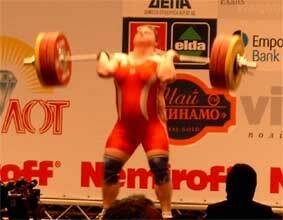 Agata Wrobel from Poland winning the gold with 130+157.5 in the class +75 kg. 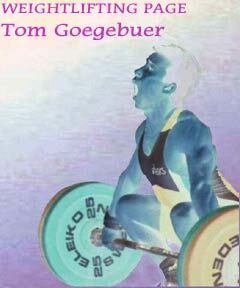 You've always wondered how the faces behind the Eurosport weightlifting voices look like? 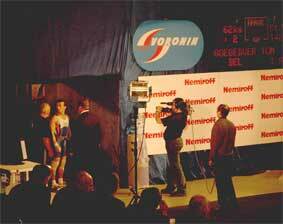 Marc Huster, ex German toplifter co-commentating with Ron Ringguth for the German Eurosport. Polish beauty Alexandra Klejnowska (-58, 95+127.5, gold) visiting the media kings. Marc Huster and David Morgan. I suspect they are telling the world how great I am ..
David is an ex international British toplifter, co-commentating in the English language. As always we had a great time after competition, meeting friends and making new ones. It was fun. Everybody, try to be there next year in Leipzig! Enjoying the company of this sweet Albanian girl Gerta Suli (-58, 75+87.5, 14th). In a sportsbar in Kiev with French Samson Matam and Virginie Lachaume (-53, 77.5+102.5, 5th).